Looking for something interesting and different to do in Kansas City? If so, I've got a great idea. On the first Friday of every month at 8:00 p.m., you can find some of Kansas City’s best storytellers gathered at the Uptown Arts Bar in Midtown for a fun, unpredictable, and definitely entertaining story slam. The rules for the event are simple. Each story slam has a theme. 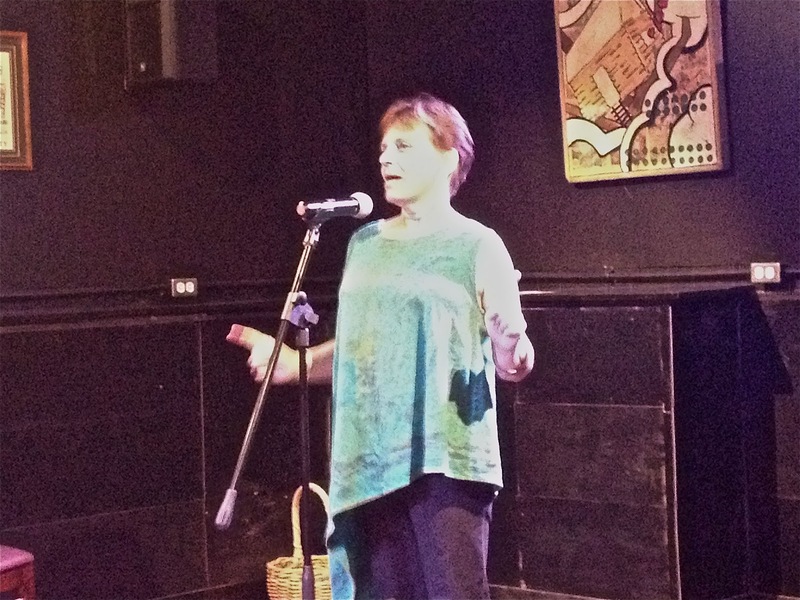 August’s theme was “Things You Never Told Your Mother.” Anyone who wants to tell a story has five minutes to take the stage and share a personal, true experience. Fables and fairy tales are not allowed. Neither are props, puppets or notes, and if you go over six minutes, you get the hook! 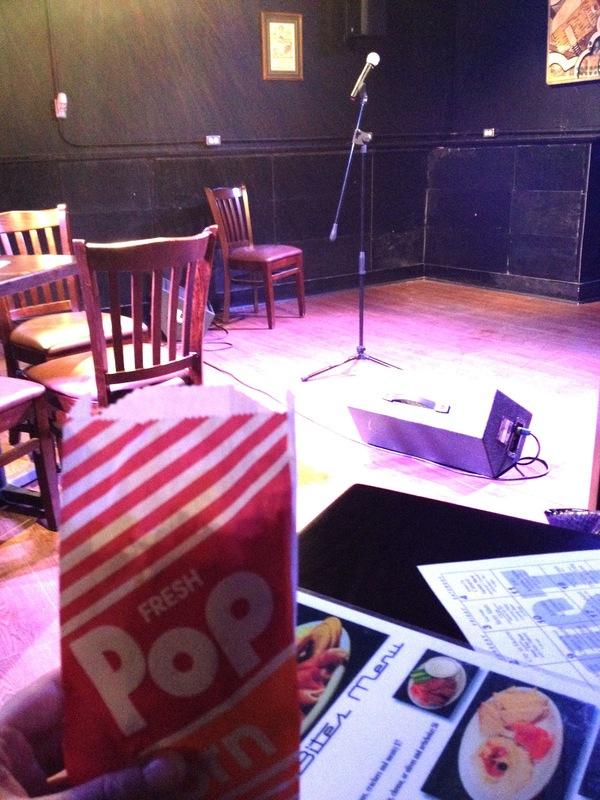 At the end of the slam, everyone votes anonymously for the first, second, and third place winners, who each receive a prize. 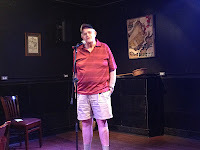 The August winner was Gary Kuntz with his humorous tale about turning back the odometer in his father’s car when he was a teenager. The event is sponsored by the River and Prairie Storyweavers, and it brings some of the best talent in the area together to show off their mesmerizing oral skills. This past month's storytellers also included Brother John Anderson, a local talent who often performs at area libraries and other venues. He told a story about the eight things he would never confess to his mother. 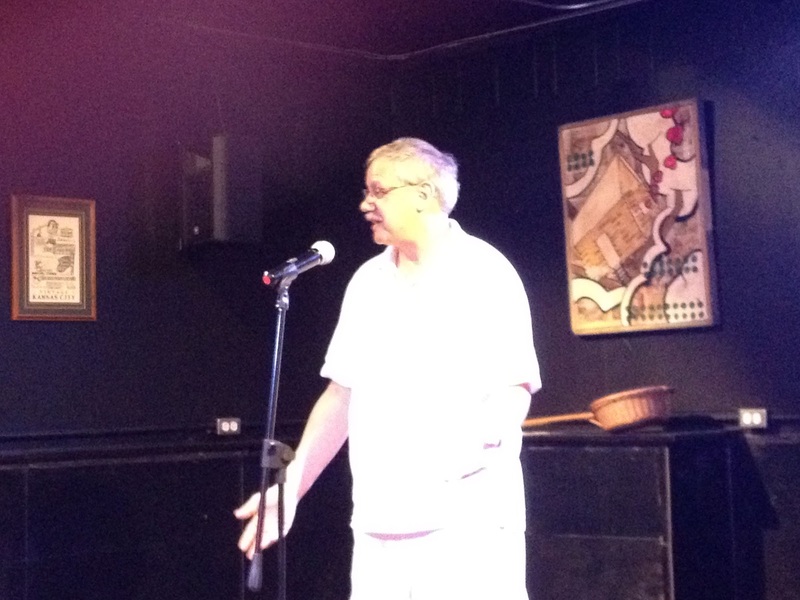 Professional storyteller Steve Otto, took us back to the unconditioned summer of 1954 in his steamy tale. 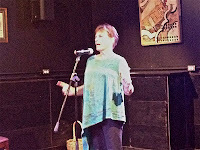 Joyce Slater, a Kansas City actress, playwright and co-founder of Potluck Productions, confessed about her teenage experiences at the Lakeside Ballroom, while pulling double duty as the emcee of the slam. There were also crazy stories about strip volleyball, brothers in trouble, beer in China, family vacations and more as the evening went on. Everyone who attends is made to feel welcome and encouraged to give storytelling a try, even if you have no experience doing it before. Additionally, the Uptown Arts Bar is the perfect place to hold the slam. 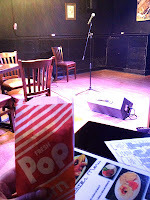 The venue is cozy and comfortable and even offers free popcorn. 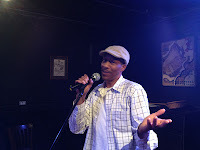 A big thank you goes out to Greg Patterson, owner of the bar, who also brings writers, poets, musicians, dancers, comedians and other talent together at the Uptown for all kinds of interesting events. If you get a chance and want to have a new experience, the story slam is worth checking out. It only costs a $5 donation fee for an evening that is spirited, enlightening and full of surprises. Plus, if you go and get hooked on storytelling, you can always attend the big River & Prairie Storyweavers Chicken Festival coming up in Emporia, KS, during January. It is a two-day event which takes the art of telling stories to a whole new level! A most excellent review. Thank you. 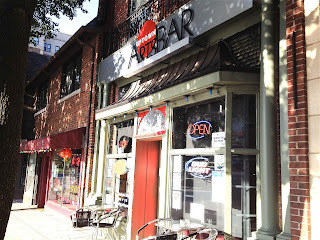 Hi, my name is Amy M. I am a lifelong resident of Kansas City and a freelance writer. One of my passions includes exploring all the wonderful things in my hometown and sharing what I learn with others. I am also a mom, an avid reader, and am infinitely curious about everything going on around me. I enjoy traveling, meeting new people, and am always looking for a new adventure to write about. I have a Bachelor of Arts from Avila University in English (with an emphasis in creative writing). My professional experience includes a background in human resources, teaching, volunteering for New Letters literary magazine, and working/blogging for a local library. Is Kansas City's Titanic: The Artifact Exhibition Really Worth A Trip To Union Station? Please do not copy, use or download any images or content without permission. Thank you. Simple theme. Powered by Blogger.